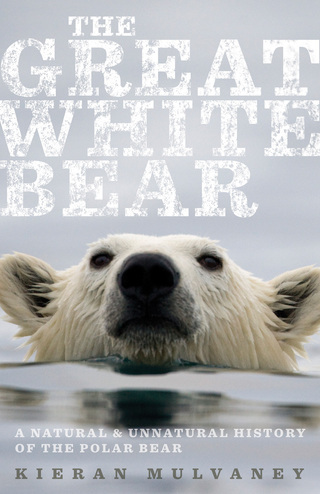 My latest book, The Great White Bear: A Natural and Unnatural History of the Polar Bear, is now available. It has also been published, as Ice Bear, in the United Kingdom. Check my blog for updates; and click the button in the column to the right to "like" the book's Facebook page. In August 2017, I traveled to the North Pole with friends and colleagues from Polar Bears International, on board the Russian nuclear-powered icebreaker 50 Let Pobedy. It was a unique and powerful experience, to be able to stand at the very top of the world; at the same, it was powerfully obvious that all was not as it should have been. The sea ice coverage was not only patchy, it was disturbingly thin. 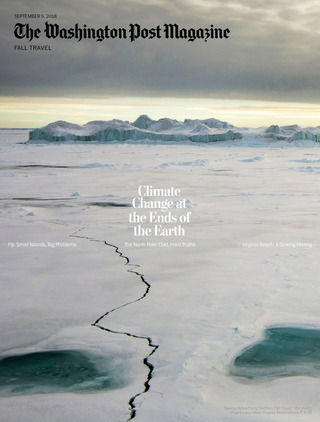 In the September 9 Washington Post Magazine, I argue that, "To travel to the North Pole is to be acutely aware of not only the isolation of the present, but also the weight of the past, of those who sought to be where we now stood, to meet, in the words of Sir Arthur Conan Doyle, the "challenge of human daring." It is also, increasingly, to consider the future — to wonder whether, just as the window of accessibility is cracking open, the opportunity to see the North Pole as we know and imagine it is already starting to close." 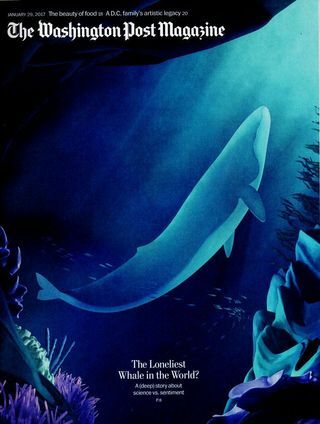 in January 2017, the Washington Post Magazine published a cover story by me on the "loneliest whale in the world". It's the story, not so much of a whale, but of the human reaction to it. The whale lives in the North Pacific; it ay be a blue, it may be a fin, or it may be a hybrid of both. It vocalizes at 52Hz - or it used to; it now vocalizes at around 46Hz - which has made it easier for scientists to track it, but has also, for many years, spawned a community of artists, writers, moviemakers, musicians and others to ask: is this whale going unheard by others? Is it alone? Is it lonely? For a number of years now, several friends and colleagues have lived in Paciano, a small Umbrian village pressed up against the border of Tuscany, among them Leslie Busby (who hired me for Greenpeace when I was 21), Sidney Holt (who inspired me to become a whale-saver when I was even younger), and David McTaggart (a buccaneering presence who was the guiding light for much of the first 20 or so years of the life of Greenpeace). David owned an olive farm there and would regularly seek to press gang colleagues into picking his olives; I demurred, and did not visit Paciano for the first time until 2007, six years after David's death. I returned twice more last year, to finally pick olives and to write about the experience: about my friends, about olive oil, and the village itself. The result is my latest cover story for the Washington Post Magazine. I'm very honored to have been awarded the 'Stories on Umbria' International Journalism Prize for 2014, for the above-mentioned Washington Post Magazine story on Paciano and olive oil. 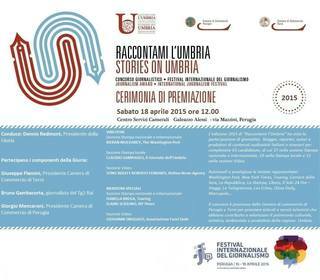 The award will be presented at the International Journalism festival in Perugia on April 18. 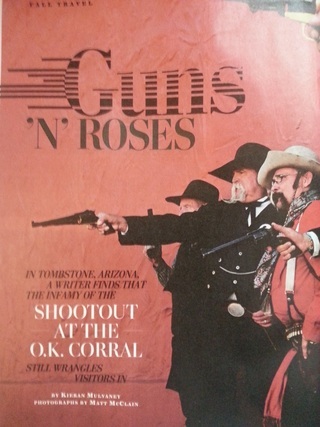 In September 2011 and again in May 2012, I visited Tombstone, Arizona for a Washington Post Magazine feature. During the 1880s in particular, Tombstone was a bustling mining settlement, and one of the fastest-growing towns in the west. It is most famous, however, for 30 seconds of mayhem on October 26 1881, when Morgan Earp, Virgil Earp, Wyatt Earp and Doc Holliday shot dead Frank McLaury, Tom McLaury and Billy Clanton in a vacant lot close to the OK Corral. The Gunfight at the OK Corral, as it subsequently became known, is arguably the most famous single incident in the history of the Old West; intrigued by just why this should be so and inspired by the movie 'Tombstone', I set out to learn more. I thoroughly enjoyed the experience, which is detailed here. A photo gallery by Post photographer Matt McClain is here. I also revisited the historical background and context for a Discovery Channel News blog. In October and November 2008, I visited Churchill, Manitoba, the "polar bear capital of the world," while conducting research for my upcoming book on polar bears, to be published in 2010 by Houghton Mifflin Harcourt in the United States and Hutchinson in the United Kingdom. 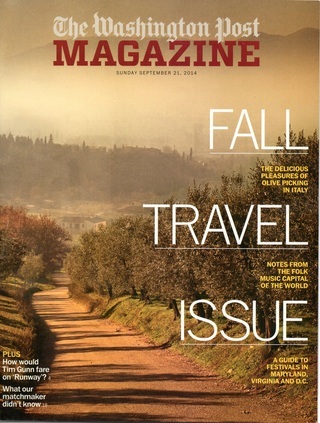 I adapted part of the Churchill chapter of my book into an article for The Washington Post Magazine, which in September 2009 published the piece as the cover story for their Fall 2009 Travel Issue. Many thanks to David Rowell at the magazine for his great editing, and to everyone in Churchill - Lance and Irene Duncan, Robert Buchanan, Mike Spence and all the rest - who made my visit there such an enjoyable and informative one. Unfortunately, I wasn't able to return this year, but hope to do so in 2010. 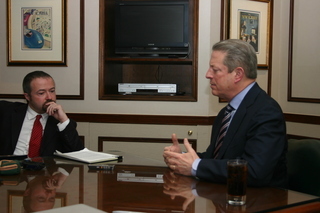 In February 2011, I sat down for an on-camera interview with Mike Tyson for ESPN. Tyson talked pigeons, boxing, and the turnaround in his life in recent years. In a major step along my improbable second career path of boxing commentator and columnist, in 2009 I was asked by HBO to shoot preview videos before big Las Vegas fights, alongside boxing historian, bon vivant, and buddy of mine Bert Sugar. For several fights we had great fun filming these videos, Bert and I playing off each other, and me being the straight man to his comic irreverence. Bert was very kind to me, and a real friend, and since his death in 2012, I have missed him greatly. Fight weeks just haven't been the same without him. 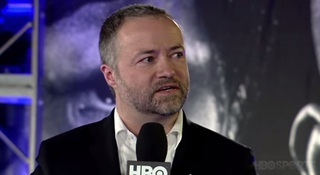 But beginning in 2014, I have been flying solo on camera for HBO, as the company's digital boxing reporter. It's been an unexpected off-ramp from the road of life, but one I've enjoyed greatly. 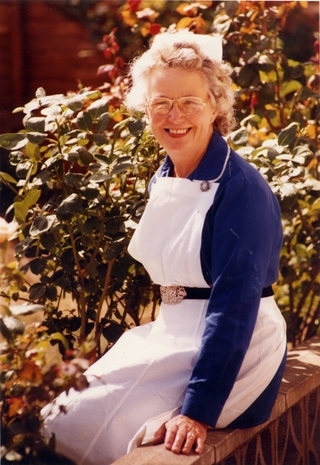 Almost two years after losing the love of her life, to whom she had been married for 54 years, my darling Mother died suddenly, but peacefully, in the early morning of September 10, 2010. She was an extraordinarily kind, caring, and humble woman, and I can still barely imagine a life without her. To her, and to my Father, my fondest and most graetful love, always. 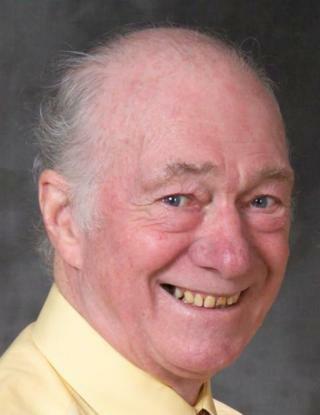 My beloved father, Peter Mulvaney, died in the early hours of October 7, 2008, after a long illness. I miss him dearly. It still seems so surreal that he could possibly be gone; all my life I had a father, and suddenly I don't. I console myself with the knowledge that he is now at peace, and that his memory lives on through all those who knew and loved him. I am an author who has written several books and over 1,000 magazine articles and blog posts. I've traveled to or worked in about twenty countries, and I've lived in four of them -- Britain, the Netherlands, New Zealand, and the United States. I've walked on all seven continents and sailed on the North and South Atlantic, North and South Pacific, Indian, Arctic, and Southern Oceans. I've been a leader on voyages to confront Japanese whalers in the Antarctic, Norwegian whalers in the Arctic, and French driftnet fleets in the North Atlantic. In 2012 and early 2013 I was the editor of the Upwell Tide Report, a two-to-three-times-weekly e-mail newsletter of ocean news and campaigns, and was previously editor of Ocean Update, a monthly newsletter published by SeaWeb and distributed to environment and science journalists and other interested parties across the nation and around the world. I've written articles on science and environment issues for such publications as The Washington Post Magazine, The (London) Guardian, The (London) Sunday Times Magazine, New Scientist, New Internationalist, BBC Wildlife and E Magazine. I am a correspondent for Discovery Channel News, Reuters, ESPN.com, and HBO.com. I contributed chapters to the books Beyond the Bars: The Zoo Dilemma (1987), Conservation of Whales and Dolphins: Science and Practice (1996), Whale Watching (1999), Seas at the Millennium: An Environmental Assessment (2000), The Future of Cetaceans in a Changing World (2003), and Feeling the Heat: Dispatches from the Front Lines of Climate Change (2004), and wrote the afterword for a new edition of the classic polar adventure by Admiral Richard Byrd, Alone (2003). I wrote the main text for the Greenpeace Book of Dolphins (1990), wrote the text for Witness: Twenty-Five Years on the Environmental Front Line (1996), and I'm the author of At the Ends of the Earth: A History of the Polar Regions, (Island Press, 2001), The Whaling Season: An Inside Account of the Struggle to Stop Commercial Whaling (Island Press, 2003), and my latest book, The Great White Bear: A Natural & Unnatural History of the Polar Bear (Houghton Mifflin Harcourt, 2011; published in the UK by Hutchinson as Ice Bear: A Natural & Unnatural History of the Polar Bear). Since 2005, I have also written about and broadcast on boxing, first for ESPN.com, then also Reuters, and nowadays for HBO. To check out some of my publications, click on the link at the top of the page or check out the individual titles to the right. And if you're burning to learn more about Kieran the person, click on "Biography." Leave a comment in the "Discussions" area; or check out my blog.